Larkin Precision is now offering machine ready blanks. We were able to re-tool a Nichols duplex mill (twin mill) from storage recently and put it to work making machine ready blanks for a few existing customers. We have since started doing this for more and more customers and they have found it beneficial to their operations. 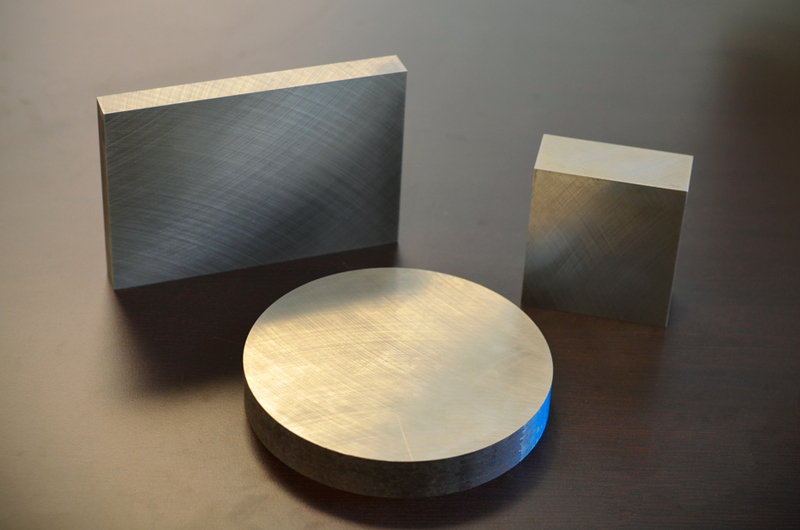 A machine ready blank is a block or plate of any material that has been precision ground/milled on all sides. Many times we have encountered jobs from our customers that need to be machined from a square block or a flat plate. Machine ready blanks take this concept to the next level by offering to grind all sides and all blocks to precise dimensions. This process of grinding/machining all 6 sides of blocks is most common in Aluminum but can also be done with other materials. We have been grinding stainless steel plates and blocks for years and have mastered the ability to efficiently hold tight tolerances of such pieces. We look forward to responding to your requests for material and grinding needs for machine ready blanks. We will need the following information to quote your job accurately.